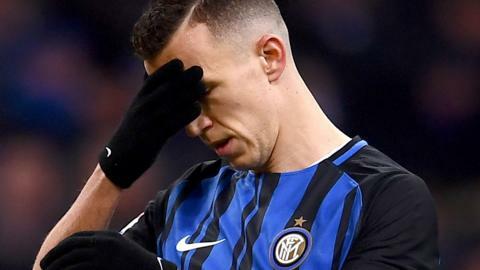 Inter Milan extend their winless run in Serie A to eight games with a draw against lowly Crotone. Adel Taarabt is one of two Genoa players sent off in injury time after Inter Milan score a late winner. Edin Dzeko suggests he will stop taking penalties after missing a second in five Serie A games for Roma, who win 2-0 at Crotone. Juventus go seven points clear at the top of Serie A as Gonzalo Higuain scores his 16th league goal of the season in a 2-0 win at Crotone.